Puri experiences hot and humid climate conditions all through the summer season. Explore more on Climate and Weather in Puri, Orissa. Weather in Puri - The coastal town of Puri in Orissa is known for its pleasant weather in the winters. Being a small town near the coastline, Puri experiences hot and humid climate especially during the summer season. Humidity is also very high during the summer season. Summer Temperature: 36°C max and 27°C min. Winter Temperature in Puri: 25°C max and 15°C min. Best Time to Visit Puri, Orissa - The ideal time to travel Puri is between October to March. During this season, weather remains very pleasant in Puri. 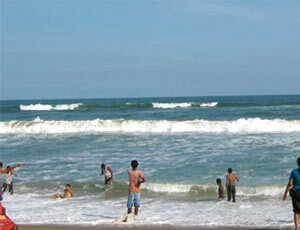 One can explore the famous beaches of Puri during this season with plenty of beach activities and sightseeing. Best Season to Visit Puri in Orissa is October to March.